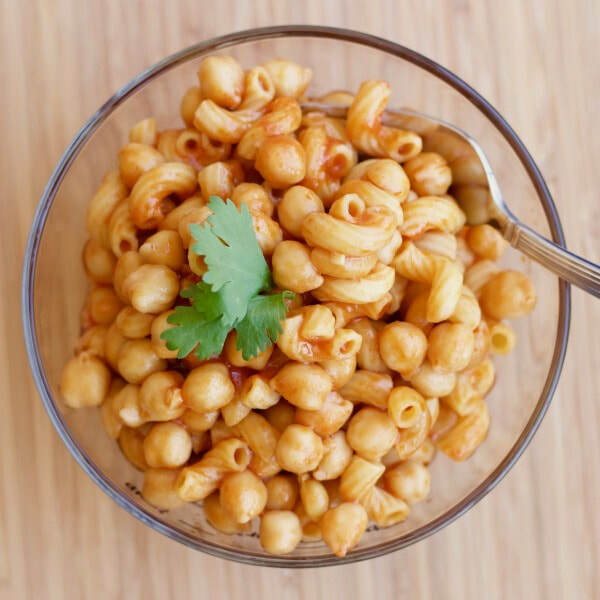 "Pasta con Ceci" simply means "Pasta with Chickpeas"! This simple one pan meal is ready in minutes and is a family favorite. Feel free to add any other veggies that you like to this dish. Check out our One Pot Pasta with Veggies for another similar recipe. In a large pot or skillet, heat the oil. Add the garlic and cook, stirring until it becomes fragrant, about 1 minute. Stir in the tomato paste and cook for about 30 seconds. Add the chickpeas, pasta, and boiling water. Stir to scrape up any browned bits on the bottom of the pot, lower the heat, and simmer until the pasta is cooked and most of the liquid has been absorbed, about 15 to 20 minutes.